The deal marks the culmination of months of negotiations over what was one of the stranger procurements in years. 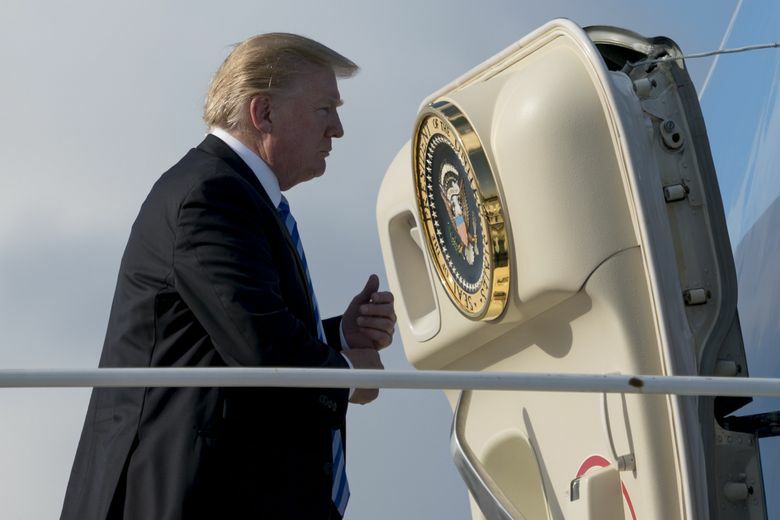 WASHINGTON – The White House announced Tuesday that it had reached a deal with Boeing for two presidential airplanes for $3.9 billion, ending months of negotiations that began after Donald Trump threatened to cancel the program even before he took office. On Tuesday, the White House claimed that the original cost estimate of the program was more than $5 billion, and so the fixed-price contract would save taxpayers more than $1.4 billion. But Trump himself had declared that the initial cost was about $4 billion, a figure that defense analysts agreed was about right. And the Air Force had already been working to reduce the cost of the program before Trump was elected. Trump wants the plane to be completed in 2021, three years ahead of schedule, so that he would have a chance to ride in it, according to two officials with knowledge of the program. Much of the savings were the result of the cost of the two airframes, which were sold to the government at a “very, very substantial discount to the American taxpayers,” according to a Boeing official not authorized to speak publicly about the arrangement. He said other savings came as a result of Boeing’s experience in building such complex planes, which are designed to keep the president and top government officials safe in emergencies, including a nuclear attack. But the official said the requirements of the planes were essentially unchanged. In a statement, Boeing said that “President Trump negotiated a good deal on behalf of the American people.” But neither Boeing nor the White House provided any details, including the cost of the airframes, about where the savings came from. Defense One first reported last week that the White House and Boeing were close to a deal. Richard Aboulafia, an aerospace consultant with the Teal group, wasn’t buying the cost savings. That afternoon, Boeing scrambled. Dennis A. Muilenburg, Boeing’s chief executive, called the president-elect and said that for Boeing, the program wasn’t a large profit generator, and that making the presidential aircraft was more a matter of prestige. The pair also discussed several other issues, including Boeing’s F/A-18 Super Hornet line, the fourth-generation military jet that was being phased out by Lockheed Martin’s fifth-generation F-35 Joint Strike Fighter. In addition to targeting the Air Force One program, Trump had taken to Twitter to blast the price of the F-35 program, the most expensive in the history of the Pentagon. “Cost is out of control,” Trump tweeted, in what amounted to another salvo that had further shaken the defense industry. While Muilenburg sat in Trump’s office that day, Trump had called Air Force Lt. Gen. Chris Bogdan, who oversaw the F-35 program, and asked him for a comparison between the two fighter jets. The meeting was first reported by Bloomberg. “There were no decisions made during those conversations, and it was my belief that President-elect Trump, at the time, was attempting to gain more information about the F-35 and its affordability, trying to gain more information about the F-35 capabilities relative to the Super Hornet, and to gain more information about the presidential aircraft replacement program,” Bogdan said during a congressional hearing at the time. The Air Force had been looking to reduce the cost of the program long before the program caught Trump’s attention. “The Air Force has worked closely with the White House since 2013 on multiple Presidential Aircraft Recapitalization requirements reviews in order to lower the cost of the program,” an Air Force spokeswoman told The Post last fall. “As a result of these reviews, we’ve simplified or eliminated a number of requirements,” which led to $500 million in savings. Driving down cost in an aircraft that has to function as a sort of flying White House isn’t easy. After the attacks of Sept. 11, President George W. Bush was whisked away on Air Force One, and he responded to the crisis from there. The costs are driven by its unique capabilities, which are complex. The cost came under scrutiny again when the trade journal Defense One reported that the price of the refrigerators of the aircraft alone would cost $24 million. But that shows how the plane has to serve as an outpost in case of catastrophe on the ground. “It costs money to keep 300 meals fresh in the event the plane has to support the presidential command team in an isolate situation,” Aboulafia said. For all the complaints about the cost of the program, Trump said he was impressed after his first flight on the current Air Force One.